Speaking to EURACTIV, Marta Gajęcka cautioned however that it would be “a completely utopic vision” to have electric cars based solely on renewable energy in Poland where coal remains the “pillar of energy security”. Marta Gajęcka is Vice President of PGE Renewable Energy S.A., Vice President of the Polish Electricity Association (PKEE) and Director of International Energy at Eurelectric, the European trade association. She is also head of energy advisors at the Chancellery of the President of the Republic of Poland. EU green light for “capacity mechanisms” buys time for new investments in gas-fired power plants, while maintaining existing coal capacity. Electro-Mobility Act aims for 1 million electric cars on Polish roads by 2025. “A whole ecosystem” is being created, with incentives for electro-mobility. 1,000 MW offshore wind project “is the biggest around the world”. Coal, gas and storage capacity needed as backup for renewables. The European Commission approved so-called “capacity mechanisms” for Poland and five other countries yesterday (7 February). What does that mean for the Polish electricity sector? Do you see this as a green light for the life extension of existing coal-fired power plants? This week is a very important week for energy in Poland. On Monday, the president has signed an act on electro-mobility and yesterday there was this decision. This is an important decision because it will increase energy security in Poland and will help transform the Polish electricity sector by creating good conditions for investments. As you know, the pillar of energy security in Poland at this stage is coal – we don’t have nuclear power plants. At the same time, we are also developing renewable energies. And today, it is not possible to back up renewable energy sources in a way that allows us to switch off conventional power plants. So in a way, we need to have conventional power plants to be able to develop renewable energy. Regarding the Commission’s proposed EPS 550 rule [placing a CO2 cap of 550g per kWh on plants eligible for capacity payments] – if we were to introduce it today, in practice it means that we would be forced to increase gas import by 70% by 2040. This means we would be pretty fully dependent on external gas supplies. And probably Russia would be happy but not Poland. So the Commission decision prevents this from happening? Yes, because it allows us to keep what we have, and modernise. Because we are one of the countries investing the most in modernisation. Yes, the modernisation process is extremely capital intensive – for example the adaptation to Best Available Techniques (BATs) for air quality. And we are making huge progress in this regard. So on the one hand, we can keep the power plants we have and modernise them. And at the same time, we can build new power plants. And in this capacity mechanism, there is a threshold allowing longer contracts for installations emitting less than 450g CO2 per kWh. So there is an incentive to invest in low-emission power plants, gas for example. So we are introducing measures to make this low-carbon transformation reality. But for as long as we don’t have storage capacity at the scale necessary to back up renewable energy sources, we need to have conventional power plants. This will presumably make it harder for Poland to lower air pollution in cities, which are among the most polluted in Europe. Is this a price worth paying? It’s much more complicated in the Polish case. The big problem of smog that we have in Poland is not so much related to coal power plants. It is more related to transport emissions and the relatively high rate of energy poverty. People use low-quality coal for heating during winter. This is why electrification and district heating is so important for Poland. And this is also why this electro-mobility act is so important as well. The Polish coal sector is no longer competitive, according to the Polish think tank Forum Energii. What is the Polish electricity industry doing to address this? Will inefficient coal power stations be closed or refurbished? The European Union has approved state aid for some hard coal mines. So the Polish government has decided to take some steps to restructure the sector. And employment in the coal mining sector has decreased sharply as a result, from 119,000 in 2006 to 83,000 in 2017. So this restructuring process is undergoing. The Polish transmission system operator PSE has warned in 2016 that 20 gigawatts of capacity will need to be switched off during the next 15 years because they won’t be economically efficient and won’t meet environmental standards. Are investments planned to replace this capacity? Big investments are underway. A few conventional power plants are under construction, and others like the Dolna Odra power station are being converted from coal to gas. 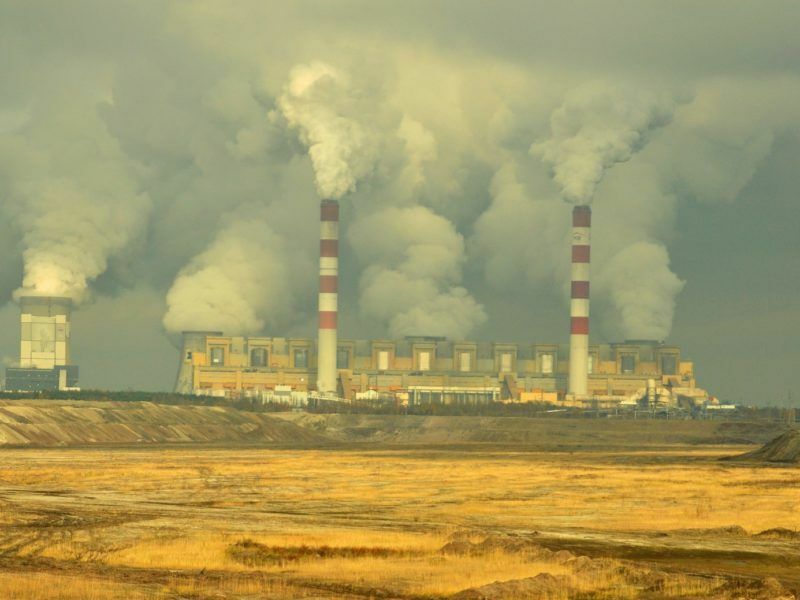 And Ostrołęka, which received approval last year, will be the last new coal power plant in Poland. And please don’t forget that PGE Renewable Energy S.A is investing in offshore wind – 1,000 MW – which is a huge investment. 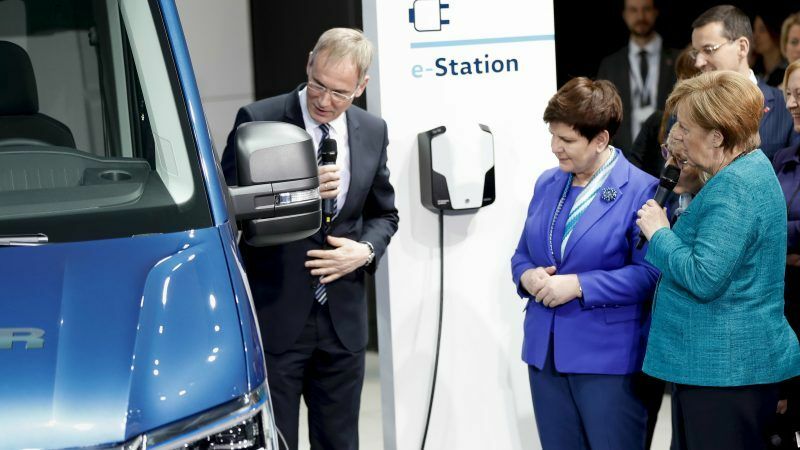 Poland has prepared an electro-mobility strategy, with plans to put 1 million electric vehicles on the road by 2025. What’s being done to make it happen? The new act is like a constitution for electro-mobility in Poland. It contains a lot of measures and incentives to convince people to use electric cars – for instance the installation of recharging points, tax incentives, access to bus lanes, free parking in cities, etc. This will simplify the lives of people driving electric cars and help address the smog problem in cities. Is there a corresponding push by the power sector to put the necessary recharging infrastructure in place and solve the chicken-and-egg problem? Yes, and we see this as a business opportunity for the power sector. In general, the power sector needs to change its business model, a bit like the telecoms sector in the past. And electro-mobility is part of that, including recharging infrastructure and the whole ecosystem around it. Electro-mobility is a storage issue. From this point of view there is a close connection with renewable energy. If we consider car batteries as storage equipment, it will increase energy security. Electro-mobility is a business opportunity but also means big investments because of the lack of infrastructure. Is there a long-term plan from the power sector to roll-out recharging points? In line with the new electro-mobility act, public institutions will be obliged to have a concrete share of electric vehicles. So they will be engaged in this process, they will be forced to buy electric cars and to use this infrastructure. You know, Poland has big producers of electric buses. In Brussels, there are electric buses built by Solaris, a Polish company. And we have producers of parts and equipment for electric cars and buses. So there is a whole ecosystem which is being created with this electro-mobility act. And growing business for the whole electricity industry in Poland. Not necessarily. There was a comparison made between diesel and electric cars by T&E, the sustainable transport NGO. And it showed electric cars are better than diesel from an environmental viewpoint, even when they’re running on coal. For us, this is very good news. It’s much more complex than that. The smog in Polish cities is not caused by a power plant in the city centre. And it’s a completely utopic vision to think we could have electric cars based only on renewable energy. How will you secure the system? You need coal, gas or nuclear as backup. It’s just not feasible to have electric cars running on renewable energy only. In the future, maybe we’ll have storage capacity at scale that will allow us to secure the system, but not today. What steps are being taken now to reach long-term decarbonisation goals? Do you have objectives and milestones related to that, including a phase out from coal? First, we are investing in renewable energy, so this is an ongoing process. Secondly, we need to invest in innovation and storage capacity in particular. We have of course goals and limits imposed by the EU and we try to respect them. With regards to renewable energies, we are not the only country having problems reaching the 2020 targets – Luxembourg, the UK, and Ireland also. The policy is simple. The last coal power plant will be in Ostrołęka. And at the same time, we are investing in renewable energy. Now, this offshore wind project is the biggest around the world. And it’s in Poland! So you cannot say that the energy transformation is not happening. Yes, it’s happening, and it’s adapted to technological progress. Because if you build more new renewable energy sources without storage capacity, you have a problem. You wouldn’t like to be in a hospital where the energy is delivered only by wind farms. You wouldn’t like it, let me tell you. You wouldn’t like your children’s school to be heated only with renewable energy in the winter. We need to be very realistic: what does it mean renewable energy sources in practice? It’s very nice but it’s not secure. The hospital is the best example: there is no CO2 emission but it doesn’t help a lot when you’re in the hospital. And such examples really help to illustrate what renewable energies mean in practice. At the same time we’ve got technological progress – decentralised energy, prosumers, blockchain, etc. All these new solutions will change the electricity landscape a lot. And I’m fully convinced that in 20-30 years, maybe sooner, you will have a situation where two people with photovoltaic panels will buy and sell electricity between themselves using blockchain. It will work perhaps like Uber. And then it will be an issue for the state to decide what kind of regulation to introduce to ensure security of supply because this is the role of the state. And so, in terms of decarbonisation milestones? I would be very prudent as regards milestones for electro-mobility. My feeling is that we should observe what’s happening. And it will be closely connected to the development of storage capacities. The creation of milestones without being able to foresee the speed of technological progress – it doesn’t make sense.